Wouldn’t it be great to have a super Wawa next door to PPL Park? You could pop in for a shorti or a soda, maybe snag some tailgate supplies, or fill up your gas tank before heading home. The place would employ Chester residents and serve as a nice cornerstone for other retailers that might consider building along the waterfront. It’s now been four years since the stadium was built, and there is nothing but private parking lots in the immediate vicinity. There’s no retail, no housing, and no entertainment, all of which were part of the original plans that came packaged with the stadium deal. The latest update to the Union/Chester business saga comes in the form of this article from the Philadelphia Inquirer’s Laura McCrystal. In the piece, she talks about the seven million dollar project to build senior team practice fields and renovate an office building for Union front office staff. Right now, personnel work out of the nearby wharf building next to Lot C and the team still practices at Chester Park, which is in a residential area about 15 minutes from PPL Park. As it stands, the Union front office has its hands tied. Whenever you read stories about Union/Chester business relationship, one of the things that always gets overlooked is the political turnover that has swept through the city in the past few years. But in order to understand it, we have to go back to the beginning. When Philadelphia Union was founded in 2008, Democrat Ed Rendell was Pennsylvania Governor, and Republican Wendell Butler was the mayor of Chester. Butler took over in 2002 when former mayor Dominic Pileggi (R) won a seat in the Pennsylvania state Senate. Chester has a history of GOP control and elected Republican mayors from 1995 to 2011. Even before that, the city was predominantly run by Republicans. Pileggi is currently the Republican leader in the Senate, and he’s been in office for the last 12 years. He represents the 9th district, which extends from Chester all the way to Kennett Square. Pileggi was active in team affairs back in 2008, and he worked closely with Rendell to unveil the original construction plans that set aside millions of dollars for retail, housing, and other waterfront development. 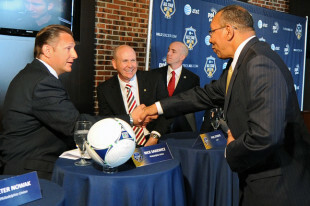 In 2014, due to his status in Harrisburg and his relatively diverse and large district, his name doesn’t come up too often in regard to Philadelphia Union-related issues. On the House side, you’ve got Thaddeus Kirkland, a Democrat who has represented the state’s 159th district since 1993. Kirkland has generally supported development in Chester and most recently spoke about the Union in this article from the Delco Times. Both Kirkland and Pileggi have comfortably won reelection over the past two decades and remain influential behind the scenes. In 2008, when Governor Rendell picked Chester as the location for a soccer stadium, residents there were represented by a bipartisan group of politicians. The stadium deal was done under the leadership of Rendell (D), Butler (R), Pileggi (R), and Kirkland (D). Midway through the last decade, one of the challengers that Pileggi defeated in a reelection campaign was Democrat John Linder. Linder was a rising star in the local political scene, and he teamed up with Portia West in 2009 to unseat two Republicans on Chester city council. 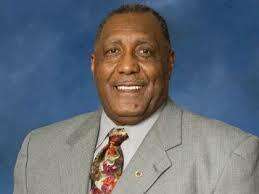 He then beat Butler in 2011 and took over as Chester mayor, ending 16 years of GOP city control. Other Democrats also won election that year, and there is no longer a single Republican on the Chester city council. With that majority in place, Chester’s new government immediately set out to correct the issues they say were brought on by the former GOP regime. So where does the Union fit in? One thing is clear: The Union front office found itself in the middle of a huge political turnaround in Chester. Whatever relationship the team had with the former Republican government, that obviously had to be revisited when Linder and the Democrats were sworn in two years ago. For starters, there was the whole issue of the Union’s overdue payments to the city. As part of the agreement that brought the franchise to Chester, the team would pay a $500,000 flat annual fee in lieu of taxes. Last March, the team paid off the overdue 2012 payment, and PSP’s Dan Walsh summarized those developments in a short writeup. The city also decided to revisit the idea of increasing taxes on the team. Linder and city council proposed a new 10 percent tax on Union tickets and a 20 percent tax on parking spots at PPL Park. “And Sakiewicz said that other attempts by the city to gain revenue have hurt the team. “Private parking lots have opened near the stadium, and the Union unsuccessfully fought zoning changes in court that allowed the lots. Sakiewicz said the private lots have meant about $1 million in lost revenue to the team annually. The city also instituted a new tax on parking facilities last year. In addition to battling the city in court, the team provided free parking to season ticket holders in an effort to push owners of the private lots out of the market. Still, with existing fees for non-season ticket holders, the private lots retain the ability to undercut team prices and compete for their business. Not only do the private lots take up space around the stadium that could be properly developed, but it’s believed that they are not subject to the same taxes levied against the Union. It’s been clear from day one that the Union and John Linder got off to a rocky start. It’s not anyone’s fault really. Linder is doing what he feels is best for his city, which is in serious financial trouble. Nick Sakiewicz and Union officials are trying to navigate terrible economic and geographic factors to help the city and improve the gameday experience at the same time. 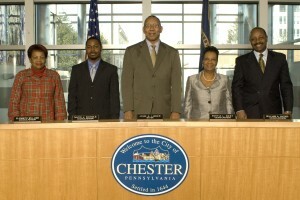 At the time of that quote, Linder had been Chester mayor for about six months. He inherited a mess, and the Union had to build a new relationship with a new city council. The issue is simple, and there are two different ways for John Linder to approach the situation. Chester allows the private lots to stay, continues to tax the team, and maximizes immediate revenue while still trying to attract waterfront investors in a difficult business environment. Chester removes the private lots, eases taxes on the team, and then relies on the Union and investors to turn short-term losses into longterm development and job creation. The second plan would benefit the Union immensely, but Linder would be taking a risk in following that course. There’s never a guarantee that private investors will pull through. Still, you can provide Nick Sakiewicz and Jay Sugarman with the “keys to the car” in hopes that the franchise will be able to start new projects that offset the concessions given by the new regime. Looks like paragraph spacing just dropped out of the 2014 election. Only 11 days short of the primary! Damnit! That’s twice already today. You guys never let us have any fun. Thanks for the article. I’ve been leery of the way the Union has dealt with Chester, but this has helped clarify some of the reasoning — but if I were Mayor Linder I wouldn’t trust Nick Sak to be true to his work about investment either. Hopefully the trend toward more non-Union events at PPL will help spur investment. And a super Wawa would be great nearby. So would food trucks in the parking lot. + 1 food trucks . . . Not sure if Union would like that though (less concession revenue in Stadium). I always thought it would be a great win for everyone to have a few of the mom and pop local restaurants to have small food stands on certain weekends in the parking lot. They could gain some additional game day revenue, but also get more people to try their food and maybe lead to future sales and actual in store customers. It would be cool, but I doubt Union would be open to it. Especially since they’ve taken issue with private parking lots. Maybe the trucks could park somewhere on 2nd street. Charge them to be there. Nothing overwhelming, just a portion of their revenue or a flat fee. That would theoretically bring more people to the game earlier since they could eat outside but not have to grill or cook, and local businesses and shops could get their names out. It could be a win-win. there already is a gas station with food a block away from the stadium. who needs a wawa? Thanks for the research and giving us the background. Quite sad about where the team practices, that most who go to PPL tailgate a bit near their car, watch the game, and then quickly return home, and that we have this beautiful stadium and ramp but nothing else in a rather nice stretch of land! If I had the money (and guts) I would build a nice bar/restaurant next to PPL. With the ramp it is easy for NJ commuters to swing by, it should attract Union staff and others who work in Chester, and it should attract lots of business before and after games. It also seems that more and more events actually happen at PPL (Rugby 7’s, College Cup, WC warm up games, etc). I don’t blame Linder at all. The record for pro teams investing in their neighborhoods out of the goodness of their hearts is pretty terrible. I could only see Linder relenting and trusting the Union if they make specific concrete commitments with timetables and things like that. Part of the issue, that I didn’t really get into, is that the retail and apartments that were part of the original plan got scrapped when the economy took a dive. They had $7 million earmarked for that. I work in the old power plant which also houses the Union offices. Back when we moved into the building in 2005, long before the Union were in anyone’s minds, there were already plans for the waterfront that have never been developed. I would like to see a hybrid of the two suggestions. Remove the private parking in exchange for the Union financing a parking garage or two. Then look to expand the space saved by closing the parking with additional retail development that can be staffed by local residents. The major potential drawback to this is that a parking garage would probably increase the exit time leaving the stadium as there would be even more congestion than there is now. A parking garage is way too expensive considering the available land for lots. But I agree with your sentiment. I’ve been wondering about this, and it wasn’t addressed in the Inky article either. To whom was that $7m in development earmarked? What was it spent on when the economy tanked? I’m not asking in an accusatory way, just genuinely curious. I agree that adding new taxes to the team (and the casino) is a recipe for short-term fixes that become long-term deficits, and that any tax applied to parking in the area should be applied to the lots outside too. To beat a dead horse, putting that stadium in Chester was a terrible move by the ownership group. Frankly they deserve what they get the moment they got in bed with politicians. What did they think, that awful place would turn around?! It’s a pit and everyone in Philly laughs about it. Whenever I offer tickets to someone who’s never gone to a game they say “not Chester”, and it takes a lot of coaxing. In relation to this, those private lots are an embarrassment. It wasn’t the ownership group that decided on the location, it was Governor Rendell and other political partners. Millions of dollars in public money was provided for construction, and that was contingent upon the stadium being built in Chester. Sure, they could have built it in Philadelphia, but the state wouldn’t have provided $25+ million dollars in public money. It was done ‘on the cheap’; and the team continued to be a ‘cheap’ outfit that tries to win a Championship with cheap young players; well, keep on dreaming. The team is becoming an embarrassment just like the location of the stadium. All fits quite well. I hope we get some Arab prince to buy this team, who then tears down the stadium, builds one at Penn’s landing and buys some decent players. Not so far fletched if you consider that New York City FC is large bankrolled with Arabic money. Where exactly is that Arab money building the stadium in New York again? I get the whole jist, but just looking at it from far away, the governor said you have to put it in a dump of a city that’s constantly on a city wide curfew and the owners said yes. Bottom line! Like Kevin said, that was where they could get funding, but it also was where land was cheaper. It fit the early soccer-specific stadium model of building these stadiums in towns outside the metro area. It wasn’t until Toronto hit it big that they realized the urban core was where to be. By that time, I think the wheels were already in motion on Chester. (Rowan had crapped out as a site. That was to be based on the Galaxy’s stadium at Cal State – Dominguez Hills.) A soccer stadium on Penn’s Landing would have been ideal, but it would have cost a lot more money than the Chester land. Replacing the Spectrum with a soccer stadium would have been ideal to me, but I never heard that as an option way back when. Again, money. Some very quick research tells me Xfinity Live – which now occupies that location – was planned as far back as 2008, construction started in 2010, and it opened in 2012. So if that site were to be used for a soccer venue instead, somebody would’ve had to pry the location from Comcast’s grasp. Doing so would’ve been expensive, given the plans they had in place already. Sure, in a bubble that site would be great – ample parking, all the stuff that’s down there (such as chickie’s and Pete’s) and all the infrastructure (I-95, Broad Street Line, etc) already in place. But it was never going to be a viable build location due to the land not being available. +1 thanks a lot governor Rendell, I bet he didn’t give two shits where the stadium was built as along as it wasn’t directly in Philly. The city government doesn’t have to give the Union everything they ask for. However, they shouldn’t be looking for new ways to tax the team to pull a few more $$ from them. That’s a very short-sighted approach that destroys the Union-Chester relationship. A balance must be struck before any progress can be made. For example, keep the private lots, but don’t tax the revenues for anyone. (I would say tax everyone the same, but the private folks simply aren’t going to be honest.) Let local food trucks in (great idea cszack), but shut them down an hour before game-time or when the stadium opens. These steps provide revenues for Chester citizens without leeching off the Union. Does the Union hire Chester residents to staff their parking lots, concessions, etc.? That would be a nice olive branch to offer the community, if they’re not doing so already. Having food trucks on-site but shutting them down when the gates open is *brilliant*. Let’s say in your scenario, Chester/Linder leans on private “lots”(honestly, some of these are just lawns) where people are charging,what,$10? To lose $1M in revenue, almost 3000 cars per match are diverted from the Union’s $20 cash lots. (2941 cars X $20 = $58,820 X 17 = $999940)Does that seem accurate?There are 10? 12 lots? If that? Do they hold hundreds of cars each? It feels inflated. Wouldn’t Linder take a bigger risk coming down on those lots by reducing people’s income who actually live in Chester (as opposed to the FO who drive quickly out of town as well)? It’s not like the Union could go anywhere else, what other sucker municipality would build them a stadium? They’re locked into a lease. Are we supposed to feel the Union have been hard done by because an elected official is looking to increase taxes? How loud do you think Nick would scream if they were in Philly and the wage tax hit them? Then it would be “the local government makes it impossible to get DPs to come here”. As a consumer, I’m rooting for those private lots and enjoy the free parking Nick’s hardball tactics as a result. The U’s miscalculation of course is thinking they’re running someone out of business, when those are just people who were already poor to begin with and aren’t comparing previous years revenue from their side lawn. They’re just eating more or less. Let me clarify this – I don’t know for sure that the STH free parking was a hardball move. It could have just been a generic incentive to get people to stay on. Maybe it was a combination of both. Most of the gameday workers (stadium, parking, concessions) are Chester residents, but those are part time and seasonal jobs only. There’s a middle ground in here somewhere. I don’t think the Union deserve special breaks from city council, but it was also wrong of them to come in and try to tax the team right off the bat. Helpful article. Why don’t Pileggi+ Kirkland get state funding/tax breaks for developing adjacent property? Linder has no good cards to play. He should cut a deal with Union over lots & taxes.